What do you get when you combine a bunch of food and beverage lovers, a beautiful venue and exquisite whiskey? One hell of a SOME KINDA GOOD Tuesday evening! The high was 96 degrees in the Lowcountry, without a cloud in the sky. 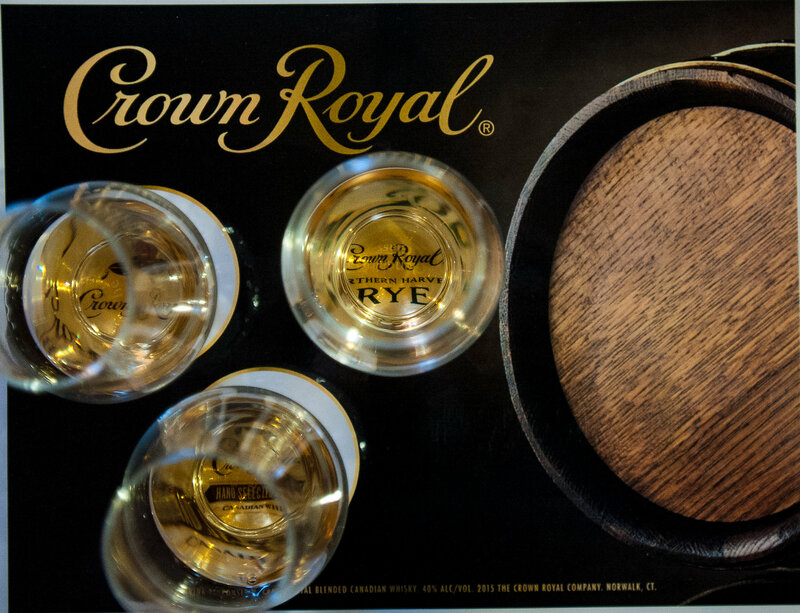 We met on the roof of Stars Rooftop and Grill Room in downtown Charleston on historic King Street for one reason: to explore two new variants recently introduced by Crown Royal Canadian Whisky. 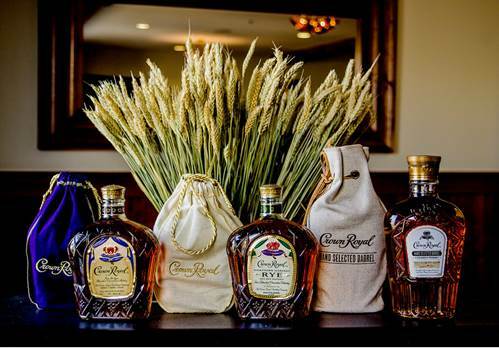 Here I would meet Crown Royal Northern Harvest Rye, the brand’s first-ever blended rye whisky, and Crown Royal Hand Selected Barrel, a drink which pays homage to the brand’s signature smoothness. The crowd turned out in true Charlestonian fashion — dressed for a proper night on the town. 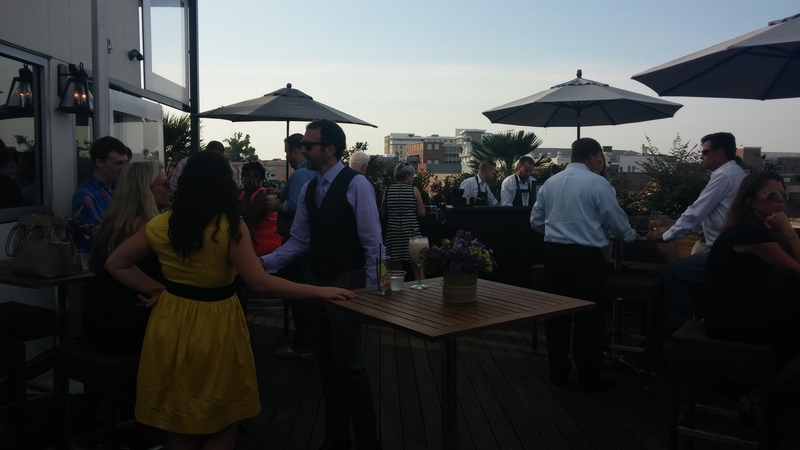 During cocktail hour, waiters circulated the rooftop with trays of summer tomato-mozzarella skewers and shaved salmon crostini with capers and cream cheese. I met other marketing professionals and beverage connoisseurs, among them Susan Lucas of King Street Marketing Group, representatives from The Local Palate, Taneka Reaves and Johnny Caldwell of the Cocktail Bandits (super fun girls!) and Robin Rodriquez of locally owned Egan’s Spirits. The perfect bite with cocktails! Meet Brandon Verkaik and Bud Huber, the two mixologists who created the four signature cocktails of the evening: Holy City Brunch Punch, Royal Shandy, The Light Dimmer and Wild Flower Whiskey Sour. I can’t wait to share one of the recipes with y’all! Choosing a favorite of the four cocktails is a bit like being partial to your best friends or family members…you appreciate them each for what they bring to the table. If I had to choose one though, I’d pick the Wild Flower Whiskey Sour. 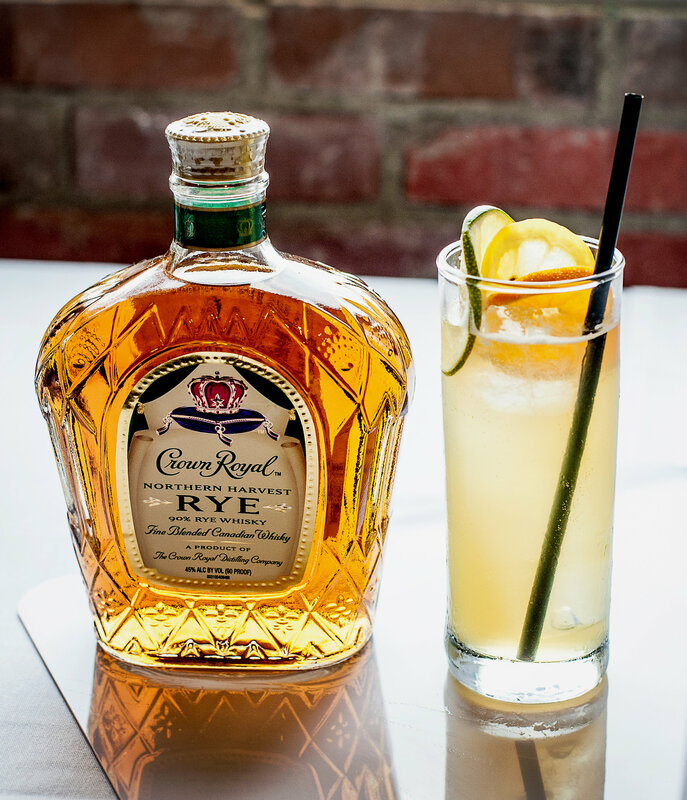 This drink features Crown Royal Northern Harvest Rye, known for its oak flavor with spicy notes of vanilla and a hint of butterscotch. Bud Huber has been bartending at Stars Rooftop and Grill Room since Oct. 2012. 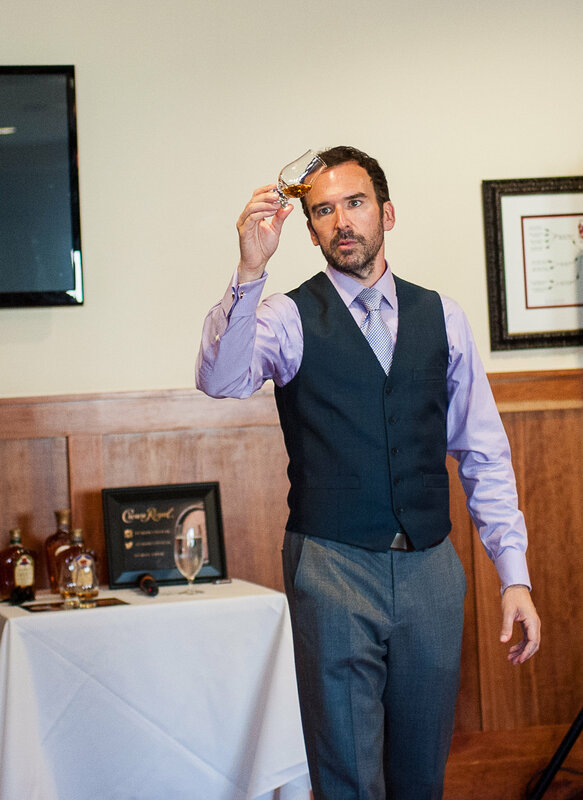 Master of Whiskey Stephen Wilson teaches us how to experience the libation at its fullest. Contributed photo. I was pleased to learn Wilson first discovered Crown Royal Deluxe in none other than the beautiful Savannah, Georgia. Here’s a guy who grew up on the Tennessee Virginia line, and says he “fell into” a career as a Master of Whiskey and now works for Diageo, the company who owns Crown Royal. He said, “There’s no right or wrong way to enjoy whiskey. Good conversation over a glass of good whiskey is what it’s all about.” Sounds like we share the same philosophy! He taught us that Crown Royal was first created as a gift for the King and Queen of England to celebrate their visit to Canada in 1939. The iconic purple bag which the whiskey is purchased in is a concept from the original packaging! It was developed to suit the royal occasion and outfitted with gold drawstrings, a tradition that continues to this day. The attention to detail at this event was unmatched! 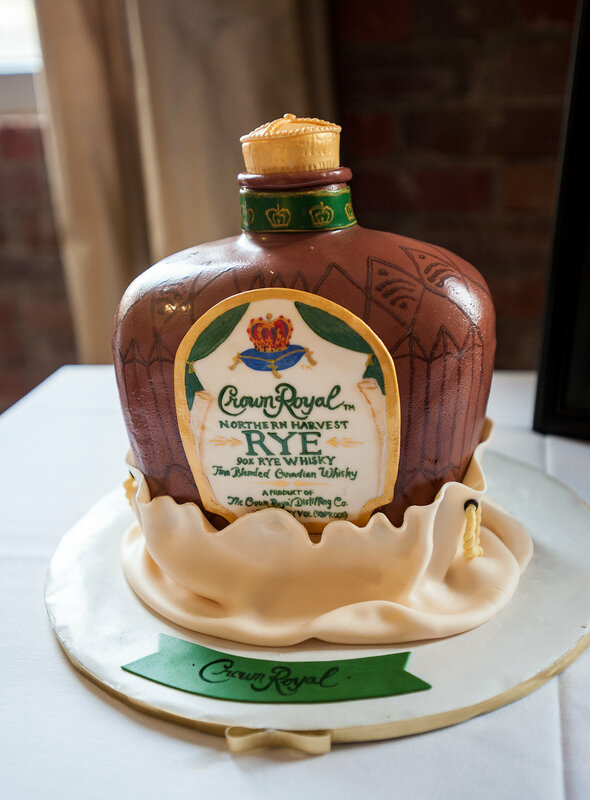 Dessert was a moist, rich chocolate cake shaped like a bottle of Crown Royal Northern Harvest Rye whiskey. Who knew eating whiskey could be fun too? HA! I’ll leave y’all with this: A refreshing concoction suitable for any summertime happy hour, courtesy of the mixologists mentioned above. Thanks to Taylor Strategy for an evening really well done, and a valuable education on the top-selling Canadian Whiskey in the United States. Stir together ingredients. Serve over ice and enjoy! Thanks for a nice read! Well done. Rebekah, great article, your daddy wants to try that drink! While we were on the cruise, we actually went to a wine tasting event and a mojito tasting ! My new favorite a spicy mojito! Loved it! Sounds like you met some interesting people at the event too. Glad you went and shared with us!